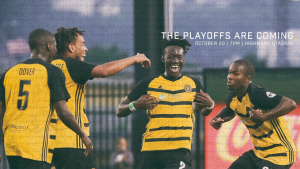 First playoff game in Highmark Stadium history set for Oct. 20 at 7 p.m.
ickets for the first playoff game in Highmark Stadium history are officially on sale to the general public. 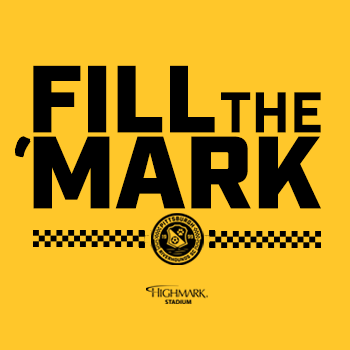 Join Riverhounds SC on the Mon on Saturday, Oct. 20 and #FillTheMark, as the club makes its first visit to the postseason since 2015. Head coach Bob Lilley and the Hounds have had an incredible season so far, securing a top four spot in the Eastern Conference and currently running a six-game unbeaten streak at the friendly confines of Highmark Stadium. The match will be the 100th played ever at the venue. Stay tuned too, as the Hounds have more in store for the match, including a planned giveaway to fans in attendance! For more information, please contact our ticketing office at 412-865-GOAL. A link to purchase tickets can be found here. We hope to see you down on the Mon later this month, as we make history and #FillTheMark for the 2018 USL Cup Playoffs.